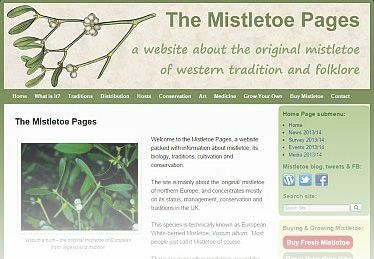 About mistletoe traditions, biology, conservation, growing your own, managing, harvesting, medicinal use and art nouveau. Nearly everything you need to know. Mostly about European mistletoe. 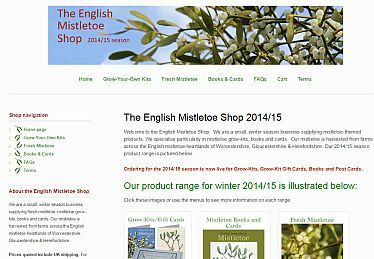 A small, winter season online shop dealing with Mistletoe, Grow-Your-Own Kits, Books and Cards. ideal for Christmas, Valentines, and Gardeners! Includes A Little Book About Mistletoe which explores mistletoe in a colour and accessible guide. A specialist service proving information and advice on all aspects of mistletoe in the UK. 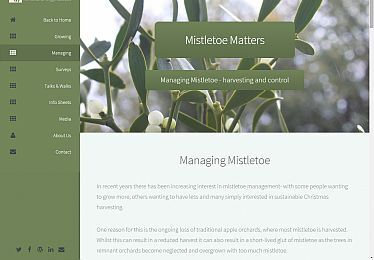 Mistletoe conservation, talks and workshops, guidance with planting, harvest and control. Plus media stories and input. 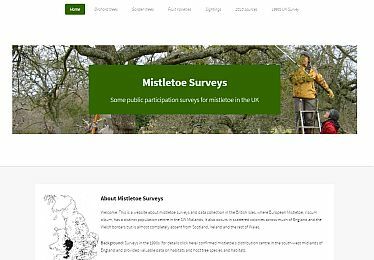 Finding out more about UK mistletoe. Gathering information on mistletoe in orchards and fruit trees in gardens. And a project aiming to construct a League Table of fruit varieties v mistletoe susceptibility. 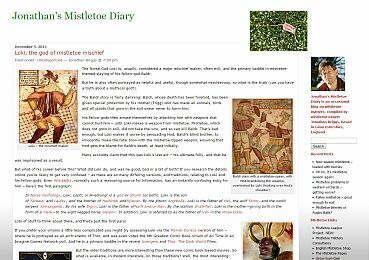 An occasional blog on mistletoe matters, written by mistletoe expert Jonathan Briggs. Most active from late November through to the planting season in February and March. Close links to Mistletoe Matters. 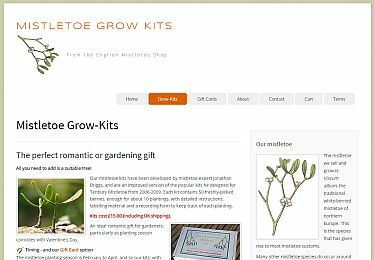 A new site, dedicated to the Mistletoe Shop's Grow-Kits. Mistletoe is a wonderful plant to have in your garden, and, as the ultimate plant for kisses, will provide plenty of romance too!